Nestled in the heart of Northeast Michigan's Vacation Wonderland, the East Tawas Community Center is the area's newest rental and recreational facility. The facility is available to residents and visitors alike on a year round basis. With a full size gymnasium, the Center is ideally suited for basketball, volleyball and myriad other recreational activities. 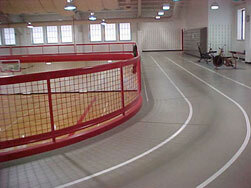 If walking is your exercise of choice, then the facility's elevated synthetic walking track is for you. Many residents and visitors use the track on a daily basis to keep in shape, especially during our cold and inclement winter seasons. A recreation pass is required for use and passes are available on an annual or daily basis at very reasonable rates. 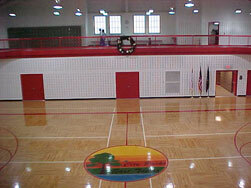 The East Tawas Community Center is available to rent for your private event as well. With a full service kitchen and banquet seating for 400 in the 7800 square foot facility, the Center is fast becoming the popular choice for weddings, holiday parties, banquets and a host of other functions and activities. If a smaller event is in your future, the East Tawas Community Center can also accommodate that need in one of our smaller rooms. The Multi-Purpose room on the main floor is located adjacent to the kitchen. This room offers 756 square feet of space and is suitable for small gatherings of up to 50 people. Upstairs, located just off the walking track, are two smaller rooms that offer 680 square feet of space and are suited for groups of up to 30 people. As you can see, the East Tawas Community Center is an all-purpose facility available for everyone. 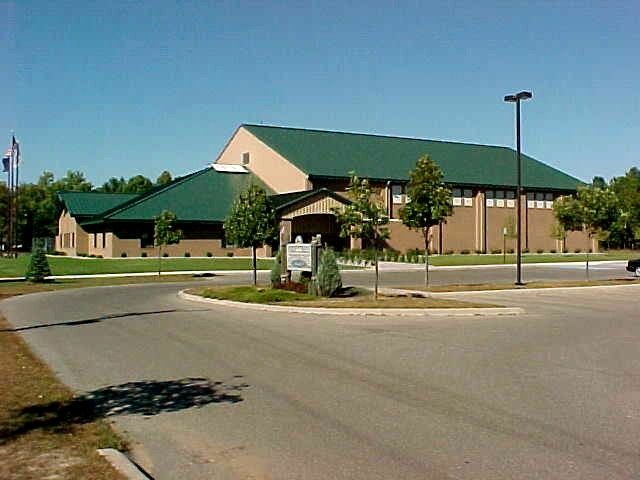 Whether you are looking for a pick-up basketball game or planning a wedding or family gathering, why not give the East Tawas Community Center a try.